On seeing this beautiful bulbous plant, it is hard to believe that it is native, and yet this is a beautiful wild flower native to here. Most of the time the flower is yellow mottled brown on the inside, but you can find orange individuals and even red ones. 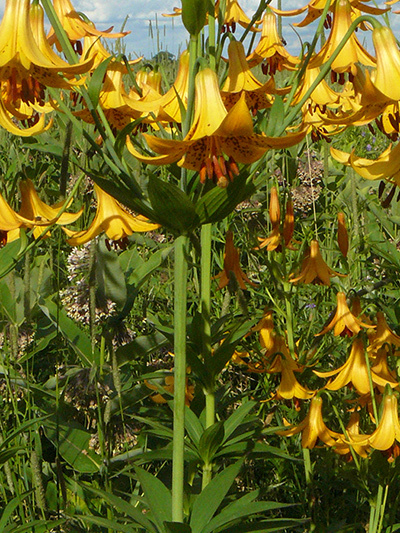 Canada lily is declared species vulnerable to harvest in Quebec. It's vulnerability is due to increasing habitat loss, gathering, and grazed by deer who love this plant.